This page is for anyone who has registered for a Teens To Go Program. 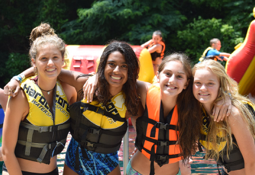 From here, you will be able to access your online account, complete the online camper profile, access camp related documents, get itineraries, and much more. Below is a table of all of the links and downloads that the camper will need. Access your online account to make payments, print receipts, change password, fill out forms, and much more. If you forgot your password, click “I don’t know my password” when prompted. This document includes the camp rules, the camper contract and the parent release. This is an online form and waiver. Follow the link to take you to a page with more details and the link to fill out the online form. This document includes important information regarding the camper in case it is needed for emergencies. Follow the link to take you to a page with more details and the link to fill out the online form. 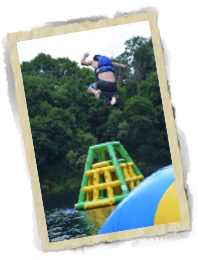 This document has a lot of the camp information you will need. If you are going on session that does a rafting trip, you will need a Rafting Release from the outfitter we use for the Rafting trips. This is an online form. If you are going on session that does a Zip Line Tour, you will need a Zip-Line Release from the outfitter we use for the Zip Line trips. This is an online form. If your camper will be taking medication during camp, this form MUST be filled out and brought to camp. This is a list of the possible movies we will be showing on the bus (mainly on the long trip). Please check in often as we will be updating this list as more movies become available. If you are going on session that does a trip to Guppy Gulch, you will need a Release form from Guppy Gulch to participate . If you are going on session that does a Ropes Course Trip, you will need a Ropes Course Release from the outfitter we use. This is an online form.